Your thread choices will never be limited by your designs with this automatic color conversion software. Convert to and from the most popular thread manufacturers with just a few clicks. This tremendous tool (valued at $99) allows you to utilize all your thread inventory. It is simple to convert one or more colors within a single design! Your thread choices will never be limited by your designs with this automatic color conversion software. Convert entire designs to and from 16 different thread manufacturers with just a few clicks. Thread Converter Pro III allows you to utilize all your thread inventory. It is simple to convert one or more colors within a single design! Easily match your inventory of thread to a design. Dowload Only, CD if available, is titled Thread Converter Pro (demo version) but includes fully functional DIME Inspiration Thread Color Conversion Software for up to 15 brands of embroidery thread. Thread Converter Pro allows you to utilize all your thread inventory. It is simple to convert one or more colors within a single design! Inspiration Thread Converter Pro Software download is fully functional without the CD. 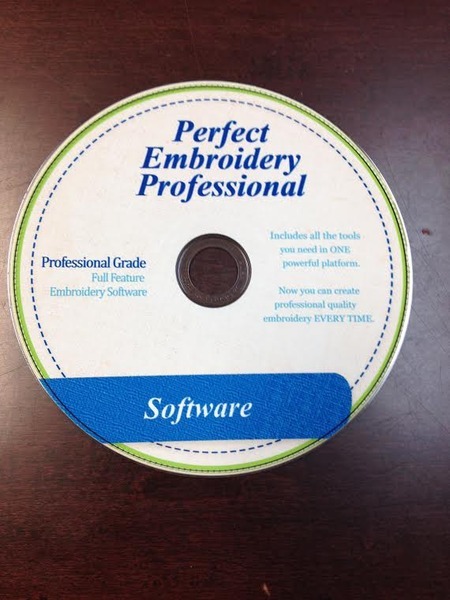 CD is titled Perfect Embroidery Professional but includes DIME Inspiration Thread Color Conversion Software. I find that the colors don't really match the DMC colors. For example when a person wishes to paint their house or room they either go to HomeDepot or Lowes and they look through the color strips or catalog to pick the color they wish to paint. The paint strip represent "DMC colors" now the person pick the color they like and they give the person to match the color they choose that is either Sulky or Madeira and they person try to match the color or get close to that color won'tot be the same idea for the color conversion. It was just a thought that I was thinking. Everything was so good. I recommend to buy from this site. I was rush to replace my broken 4x4 hoop for my embroidery machine, and your delivery system was so fast. Thank you. Great service, I will purchase from you again! So nice to find a company who still believes in Customer Service I just want to send you a note on how good your customer service is and how quick you get orders to the customer. I am new to your sight but always go here first to get what I need. You are helpful, available and have a great return policy. I have ordered several times and had my husband order my Christmas from here. Please keep up the good service and I will keep ordering my needs from ALLBRANDS.com. Every purchase with your company has been excellent. I would like to see a little more detail available with the products. I took a chance on the computer requirements for the Amazing Design Little Max, but it worked out fine. I recommend your website to alot of people for sewing products. The Floriani thread converter is wonderful. Just put the design in & voila it gives you the correct thread numbers.